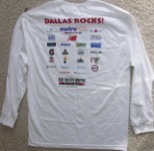 On Dec 5, 2010, I went to Dallas to run the White Rock Marathon. 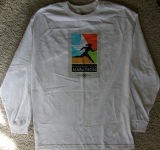 Actually, I ran the half marathon. It was cold and windy. However, the flat roads helped. 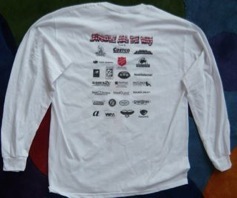 It was awesome fun with 22,000 runners and thousands and thousands of spectators on the road. Including two news helicopters. Roger, Mita and Rajiv Roy was there. It was great to see how much Mita has picked up running. Roger was usual strong self. I had my career best half marathon at 1:54 !! That is around 8:40 per mile for over 13 miles. 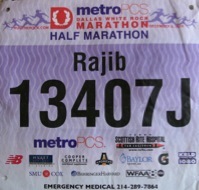 That got me a rank of 1664 in a field of about 10,000 half marathoners. We raised money for Scottish Rite Hospital who do not charge for any of their patients. The event was covered by WFAA TV and I got some live coverage as well as two appearances on WFAA-s home page! Hullor, Chico and some of their friends played the band near the 12th mile. Natasha was there with them too!! 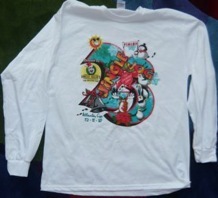 On Dec 11, 2010, I ran with Sharmila in the 23rd Jingle Jog 5K race in Atlanta. We finished at 39 min 37 seconds. It was really cold but very festive. Runners had come with great festive dresses and there were a lot of decked up dogs!!! After the run, my group folks from office got together for a great Starbucks get together!! Had a lot of fun!